We characterized the dynamics of a point charge under the influence of an electrostatic field due to an infinite line of charge. By simply invoking the law of energy conservation, we were able to show that the radial orbits of the charged particles were completely bounded between the turning points smin and smax. We then applied our solution to obtaining the condition for circular orbits. We also analyzed the stability and perturbation along these radial orbits. In general, we described the effect of initial radial velocity and the angular momentum to the radial trajectory of the charged particle. J. R. Bacong and J. P. Esguerra. 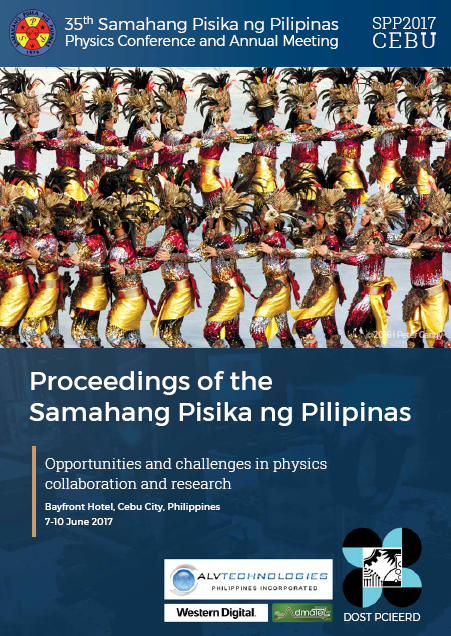 Bounded orbits of charged particles under the influence of electrostatic field due to an infinite line of charge, Proceedings of the Samahang Pisika ng Pilipinas 35, SPP-2017-3C-02 (2017). URL: https://paperview.spp-online.org/proceedings/article/view/36.